Guangzhou authorities launched a three-year plan to develop city’s railway transit industry, expanding its scale to USD 17.9 billion (CNY 120 billion) by 2021 and realise an output value of USD 26.8 billion (CNY 180 billion) by 2023, Xinhua reports. Under the plan, the city government will promote its major equipment manufacturing capacity, develop standard vehicles with independent intellectual property rights, and build an industrial park and maintenance and manufacturing bases. 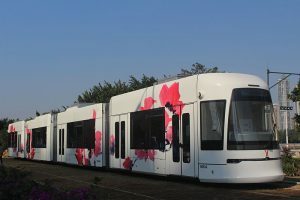 According to the development and reform commission, city’s rail transit industry, due to its capital and technology-intensive features, and huge market potential, has become one of the city’s priorities. Recently, the authorities announced that within the next five years, 11 new tram lines will be constructed across the city.